Hammersmith and Fulham Council has launched public consultation regarding the future of Linford Christie Stadium. And because QPR are aiming at building their stadium here, they're urging supporters to join in. Following the release of recent Populous report into options for Linford Christie Stadium, the Hammersmith and Fulham (H&F) Council has now launched open cunsultation, asking residents what they think should happen to the area. Keep in mind, Linford Christie Stadium is the only track and field venue throughout the borough, while surrounsing Wormwood Scrubs park is the largest public green area in H&F. While leisure and recreation are to remain main uses of the area, there are three main visions on the table. First one is to leave things as they are. Second: improve the current facilities significantly. Third one, that most desired by QPR, envisions a large event venue and secondary uses, which would inevitably take some of the space from the community in order to secure commercial viability. It's thus no wonder that QPR has appealed to its fans to voice their support of the club's dream: a 30,000 community stadium incorporated into the area. “If the club is to be sustainable we have to move and, as far as we can see, QPR’s involvement in the future of the Linford Christie Stadium is the only option that would keep us in W12 in the medium to long term. That is why we hope to see a 30,000 seater community stadium at the site that could provide a new long term home for QPR and also be utilised for community use. “We share the council’s aim of using a major update of the Linford Christie Stadium site to promote exercise, healthy recreation and community development to benefit the local area. We hope that the presence of a community-orientated professional football club like QPR, along with our award-winning charitable arm, QPR in the Community Trust, would help them in realising that goal.” said CEO Lee Hoos in a statement to the fans. While theoretically the council would be able to develop the commercial option without QPR at all, it seems the most viable route is to team up with the football club and find a way to satisfy both residents and the blue and white fanbase. 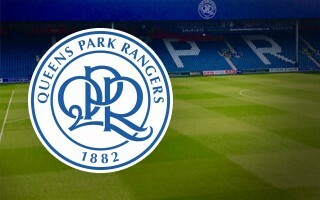 For QPR it may literally be the last chance to find a new home within their spiritual roots of Hammersmith and Fulham. Their bid to deliver a stadium in Old Oak had failed and talks with H&F have been rough so far. Still, the two sides should find a way to go forward.